Car Accident in Phoenix or Scottsdale We will see you today! No Out Of Pocket Costs! All Done For You Car Accident, Truck Accident and Motorcycle Accident treatment Chiropractic, Medical and legal protection! 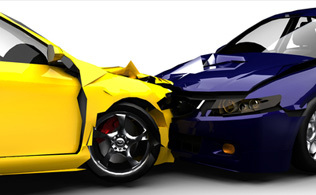 Car Accident That’s right at Phoenix Pain Treatment we take the pain and agony of your auto accident, truck accident or motorcycle accident and protect you like you are family! There is no out of pocket cost to you, we accept all auto insurance and insurance liens and we do all the paperwork. Listen up!!! you are about to enter the insurance game of your life and you don’t even know the rules…and why would you unless you are an insurance agent or insurance adjustor!! Our entire staff, from the receptionist to the doctors have specifically been trained to handle all of the insurance and legal paperwork for you. We streamline the process for you to insure everything goes as smoothly as possible on your road to recovery. We want you to heal from the injuries you suffered including but not limited to your neck pain, back pain, or arm and leg injuries often associated with car accidents. Please refer to our “CRASH COURSE” below to learn the ten top concerns of auto accident, truck accident and motorcycle accident victims absolutely need to be aware of. Phoenix / Scottsdale auto accident injury victims should visit Phoenix Pain Treatment as soon as possible! Call for a same day appointment 602.­449.9430 We will see you today! Phoenix Pain Management wants you to know it is crucial for auto accident injury victims to have a full evaluation with us as soon as possible after the car injury occurs in Arizona. The reason that timing is critical, even after a low-speed car accident, is that the forces applied on the body during a collision can cause a lot of hidden soft-tissue injuries that may not show up until days or weeks after the car injury occurred. Emergency room doctors have to focus on immediate, life-threatening injuries first. More often than not auto accident, car accident and motorcycle accident victims with whiplash are sent home from the emergency room with a neck brace and some pain relievers, neither of which can solve the long-term damage. However the ER physician fulfilled his duty and that was to determine if you had a life threatening injury or not and typically whiplash is not life threatening as far as hospital protocol is concerned. As for whiplash, there are over three million cases of this car injury every year. Collision forces traumatically force your head and body in different directions, severely straining the neck’s delicate network of muscles, vertebrae, ligaments and tendons. Especially at low speeds, the victim may not think they have sustained an injury. A few days or weeks later, however, the victim may start suffering from neck pain, back pain, headaches, and vision problems, but be unable to pinpoint the cause. Ligament damage is proving to be the worst injury sustained in a car accident or motorcycle accident. Ligaments have poor blood supply as well as poor nerve supply as compared to other tissues and therefore do not heal quickly nor do they provide much of the pain of car accident injuries. If you drive a car, SUV, Motorcycle or truck and you drive in the Phoenix Scottsdale area and have been involved in a car accident without ending up seriously hurt be thankful. Many people report just minor injuries following a motor vehicle accident. We want you to know that is a huge mistake and when you are at the scene of an accident and assume that you are OK because the police or even the EMT staff didn’t take you to hospital. Our clinical experience has shown that the third day after a car accident is usually the worst. More often than not things don’t go as planned following a car accident, SUV accident, Motorcycle accident or even a motor vehicle accident you operate while at work. There are many medical as well as legal issues that must be attended to following a motor vehicle accident in the greater Phoenix and Scottsdale Arizona area. 2) You more than likely will Feel Worse Later…. typically the third day after the accident. Many injuries are painful right away. Others can take weeks to be noticed. Chiropractic and Medical Research conducted at the Spine Research Institute of San Diego strongly advocates that almost a full 45% of people with chronic neck pain attribute that pain to past motor vehicle trauma. Car Accidents, SUV accidents, motorcycle accidents and even truck accidents almost all MVA crashes top the list for injuries that take time to show up. Taking the time to get examined by Dr. John Quackenbush and Dr Trever Penny, Chiropractic Physicians who have over 52 years of combined clinical experience concerning the medico-legal difficulties of MVA- related injuries, is always a good idea, especially when only minor aches are present. “I thought it would eventually go away”. Pain, whether minor or major pain, following car accidents usually does not “just go away” and in this scenario you’ll probably end up with medical bills that the insurance company refuses to pay. Or even worse, injuries that could have been healed are now much worse and more difficult to treat both medically and/or with Chiropractic treatment. Car accident pain relief provided at Phoenix Pain Treatments, your go to phoenix pain management center, for those who have been injured in a car or motorcycle accident receive treatment for back and neck pain in Phoenix, Scottsdale, Mesa and Tempe. 4) What is the best treatment Chiropractic or Medical following a Car Accident or Motorcycle accident? It’s a well-known fact that Chiropractors and Medical Doctors are trained differently and view treatment of your injuries sustained in a motor vehicle accident differently. So which type of medical treatment is the absolute best? At Phoenix Pain Treatment we believe that the best treatment is when medical and chiropractic is delivered in tandem so you receive the best of both worlds. The Medical Doctors at Phoenix Pain Treatment are double board certified pain management specialists and want to help you with your injuries by treating the direct cause of your pain and inflammation. 5) So will the doctors at Phoenix Pain Treatment work with my personal MD? We absolutely will work with your personal medical doctor as a matter of fact we encourage a team approach. Most medical doctors in general practice are not set up to deal with the ins and outs of car accident victims and are happy to find out that Phoenix Pain Treatment provides them with medical records of your treatment. 6) Most Insurance Companies Don’t Care About You …they only care about the bottom line!! After an accident, it’s human nature to be inclined to handle the insurance claim yourself. The problem that often follows is increased expenses, ongoing medical problems and shotty repair of your personal property. You absolutely must know that your actions and especially your in-actions following a personal injury accident can have serious implications on your health as well as your legal rights. By the time a car accident victim is aware, the case can suddenly become unexpectedly complicated, time consuming, and expensive. You must absolutely understand that the auto insurance companies are all businesses and want you to settle your case for as little as possible, there is nothing they are more interested in than saving money on your claim. If they settle your claim early and free themselves from the expenses you later incur, they save money…loads of money. Their goal is to minimize exposure and risk by getting you to settle before you speak to an attorney or incur medical expenses. It’s a fact that medical testing, medication, and therapy aren’t cheap. Insurance companies know this, and that is why they spend a lot of money researching ways to minimize their exposure to claims. Insurance adjustors are specifically trained to deal with accident victim’s rights in an effort to get them to settle quickly. Their goal is to do this before they payout additional medical expense or before you speak with an attorney. Indicating that they are helping you by getting your case settled right away to prevent having your claim denied later. Just one wrong step during this whole process can quickly leave you the car accident or motorcycle accident victim holding the short end of the stick. The tactics are part of the process that insurance companies use to convince someone to settle their claim cheaply. Absolutely keep in mind that all of the insurance company’s representatives you deal with are trained professionals, and they are not trained to make sure that you are treated fairly. Phoenix Pain treatment for patients who have neck or back pain from car accidents is a primary and fundamental treatment at Phoenix Pain Treatment utilizing the best of both Chiropractic and medical treatments. The Terminator is going to do all they can to terminate your claim by getting you to settle ASAP. They may start by telling you that your medical treatment is unreasonable, unnecessary, or overpriced. He or she may even accuse you, of doing something dishonest by doing anything less than following their orders. Don’t fall for it. This adjustor is the exact opposite, he or she will be a shoulder to cry on following the auto accident or motorcycle accident, sympathizing with your situation and reassuring you that everything will be taken care of once you give them the information they need to process your claim. Typical motor vehicle accident victims don’t realize that they are being manipulated until it’s too late. Once you have voluntarily given them the information they need, this “Ponzi” adjustor will turn around and use comments you made as a rationale for denying your claim. Two different styles, with the same unfortunate “kiss of death” result for you. These professionals are trained specifically to save their insurance company’s money on your claim. We work only with the best Personal Injury Attorneys who have a proven track record of protecting your rights as an accident victim and they will discuss the merits of your case with you at no cost. All of the attorneys we work with work on a contingency fee, which means they are willing to suspend their fee until the end of the case. Numerous sources show that the typical amount collected by an attorney is substantially more than when not using one. Many cases that at first glance may not appear complicated or troublesome can get out of hand very quickly. This is often the case when an injury does not go away as quickly as hoped, or even gets progressively worse with time. You may also be leaving money on the table if you are unaware of exactly what claims and damages you are legally entitled to recover following an accident. Many car accident victims at first don’t want to use a lawyer because they don’t want to appear to be seeking money for frivolous reasons. Hey you are not suing anyone you are just trying to get what you already paid for each and every month since the day you had a learner’s permit. In reality the first step to letting the insurance company begin the adjusting process. Some auto or motorcycle accident victims believe that they can save money by dealing with the insurance company themselves. The insurance company loves natural human behavior as an opportunity to save themselves money. If you don’t hire an attorney then you are trying to win a game that you don’t know how to play and why would you know the rules of the game. Nobody, especially car and motorcycle accident victims want to be forced into a “game” with the insurance company but unfortunately, they’re ready to play whether you are or not. Insurance companies live and die by the game and they are very good at it. That is their job, and they have built billion dollar corporations by playing it. Dealing with them without a lawyer is like bringing a knife to gun fight. 10) Absolutely remember once you sign a settlement it’s final! So being sure that you have seen a doctor and at least spoken to an attorney on the phone. Dealing with the aftermath of a motor vehicle accident and related injuries is painful enough without compounding it with insurance claims, vehicle damage repairs, legal issues and emotional stress. These accident related issues can quickly become overwhelming especially when balanced against taking care of a family and working. Get treatment for back and neck whiplash pain in Phoenix and Scottsdale Arizona area at Phoenix Pain Treatment Patients for back pain caused from car accidents and motorcycle accidents. Your Phoenix pain treatment will include both interventional pain management and Chiropractic treatment.